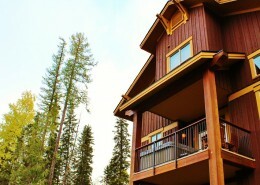 Welcome to the official website of Fernie Lodging Company! We are your connection to 100+ professionally-managed vacation rental properties in beautiful Fernie, British Columbia. 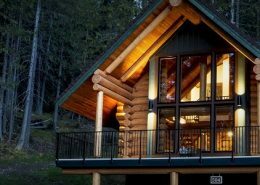 Locally owned and operated, we are proud to be known as Fernie’s premiere vacation rental company and have been in operation since 1990. We have the widest selection of accommodations to suit your needs – from cozy studio apartments, to large townhouses and homes sleeping up to 16 people. Our guest services team and office is located at the base of Fernie Alpine Resort surrounded by the dramatic Canadian Rocky Mountains. Our team of locals are passionate about providing authentic and memorable lodging experiences to travelers with exceptional service and deluxe accommodations. 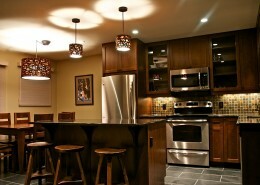 We also provide a wide range of services to property owners in the area. Let Fernie Lodging Company connect you with all the year-round seasonal outdoor activities you love and enjoy. From world-class skiing and snowboarding in the winter, to mountain biking, hiking, fly-fishing, and golf in the summer. Of course, if relaxation is more your tune, cozy up to the fireplace, soak in your private hot tub, or ease your stress away with a massage from our day spa to recharge and indulge during your getaway. We’ve helped thousands of people discover the best of Fernie, so wherever you want to take your next adventure, let us help you find your #ferniestoke! Find out more about Fernie Lodging Company and all the accommodation services and property management solutions we offer. We invite you to take a quick look through our guest directory. There is a wealth of information about Fernie and information regarding the property you have rented. We would like to thank you for the lovely weekend we had and the delicious chocolates that were left in our room. We really appreciate this beautiful gesture. Lisa and I fell in love with Fernie so much that we were married on Mt. Fernie this summer. We rode the Timber Bowl lift to 6000 ft. and exchanged vows. We stayed with family and friends at Polar Peak Lodges. The staff at Fernie Lodging Company were extremely helpful and accommodating. We had nature, privacy and Mt. Fernie out our back door..
Canadian hospitality is something I’ll always remember. Everyone – from hotel employees to cashiers to everyday skiers – was absolutely delightful and warm. I’ll tell everyone back home and I’ll be back – not only for the breathtaking countryside, but also the people. She said YES!! Thanks so much for everything you did to make this night magical for us. I wish there was some way we could repay you! Just wanted to let you know that Fernie and the folks at Snow Creek Lodge will always hold a special place in our hearts.